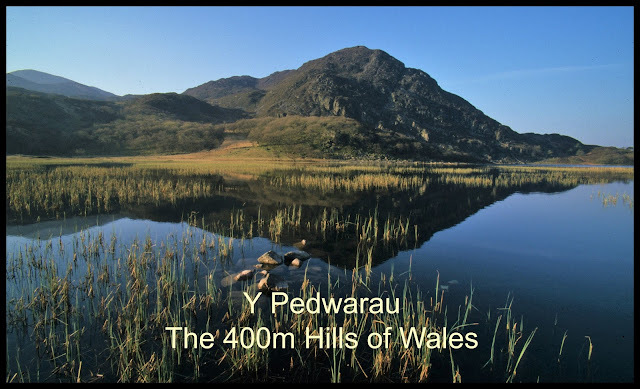 The listing was re-evaluated and later published on 22nd October 2004 on Geoff Crowder’s v-g.me website and entitled The Welsh 400 Metre Peaks, coinciding with Geoff’s publication the list was also published by Mike Grant on his 5everdene website. The master hand written list was maintained by Myrddyn Phillips with occasional updates appearing on the v-g.me website, with the original publication on the RHB Yahoo Group file database later being duplicated en masse by Mark Jackson without prior consultation with, or even notification to the author, with these data forming the equivalent part of the Tumps and with this act resulting in years of undue data divergence that is ongoing. 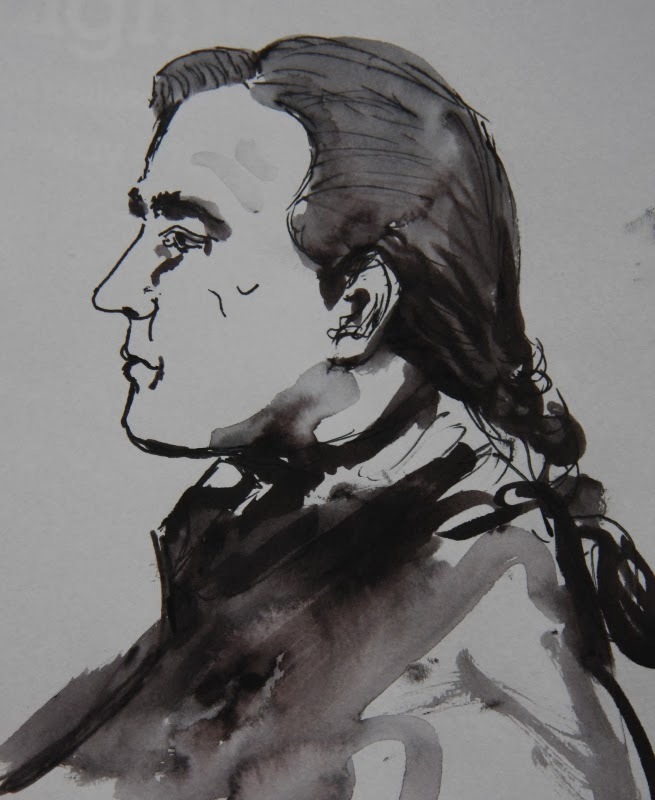 The list was next fully re-evaluated for publication by Europeaklist on 23rd May 2013, with the compilation now entitled Y Pedwarau and leading the way to the list becoming co-authored with Aled Williams. The listing of Y Pedwarau was later published on 6th January 2014 by Phil Newby on his Haroldstreet website, and all future updates to the list have been catalogued on the Mapping Mountains site. Since Y Pedwarau was published by Haroldstreet there has been a number of reclassifications to the list, all of these have been reported on Mapping Mountains, but few have found their way into the Haroldstreet publication. With the advent of independent surveyors and the accuracy of LIDAR data it is becoming increasingly more difficult to keep a list up-to-date if it is hosted on another person’s website, and for these reasons it has become evident that Mapping Mountains should host the master Y Pedwarau list. Y Pedwarau will be published on Mapping Mountains in hill group format on an ad hoc basis. Therefore when each hill group has been compiled with all relevant detail it will be uploaded to the Master List which will be available in Google Doc format on the Mapping Mountains site. As the list will be published by group format and therefore not initially in its entirety, it will take approximately a year until the complete up-to-date list is available on the Mapping Mountains site. 500m Sub-Pedwarau - Welsh hills at or above 500m and below 510m in height with 30m minimum drop. 500m Double Sub-Pedwarau - Welsh hills at or above 500m and below 510m in height with 20m or more and below 30m of drop. 400m Sub-Pedwarau - Welsh hills at or above 400m and below 500m in height with 20m or more and below 30m of drop. 390m Sub-Pedwarau - Welsh hills at or above 390m and below 400m in height with 30m minimum drop. 390m Double Sub-Pedwarau - Welsh hills at or above 390m and below 400m in height with 20m or more and below 30m of drop. To the knowledge of the authors this is the first time that a higher tier Sub category has accompanied a list that includes the standard lower tier Sub category. In this instance the higher tier is the 500m Sub-Pedwarau and 500m Double Sub-Pedwarau and the lower tier is the 390m Sub-Pedwarau and the 390m Double Sub-Pedwarau. One without the other is being inconsistent, that is now rectified for Y Pedwarau. Group: Each hill appears under their Group, this is the group / range that the hill is a part of. For example; Crimpiau (SH 733 595) is a part of the hill group known as the Carneddau. The Groups are arranged from north to south on a west to east orientation. Name: This is considered the most appropriate name for the hill with respect to the information available to the authors. Sometimes the name used does not correspond to current Ordnance Survey map spelling and composition or the name may not appear on any map. Where no appropriate name has been discovered for the hill from any source, the Point (for example; Pt. 478m) notation is used rather than making up a name that has no local or historical evidence of use. Summit Height (m): This gives the map height in metres of the hill above Ordnance Datum Newlyn (ODN), often referred to as sea level. 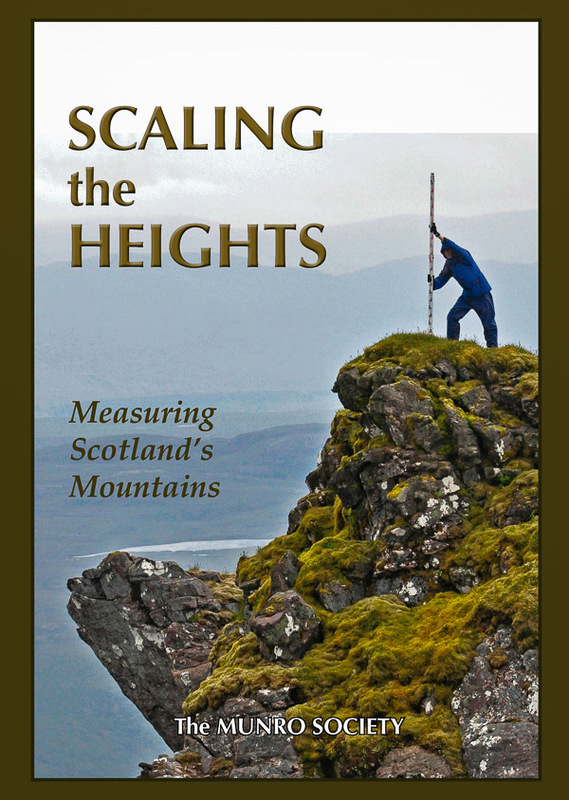 Where a height is quoted to a decimal place it implies that the hill has been surveyed by GPS / GNSS receiver or obtained from analysis of LIDAR data (these heights may not match current Ordnance Survey map heights). Where a ‘c’ (circa) appears preceding the height it means there is no known spot height available and the height has been estimated from contour interpolation. Where an * appears against the height of the hill it means that this height has been converted to OSGM15. Region: There are three Regions in Wales; North Wales, Mid and West Wales, and South Wales. The Regional split of Wales used in this list has been documented on the Mapping Mountains site. Sub-Region: The three Regions of Wales are further split up into Sub-Regions, this sub-division takes in the topography and geography of each Region. Cardinal Hill: Each hill group can be split into Cardinal Hills; these are the hills of most significant height or drop/prominence. In affect these are the ‘Grouped Parent Hills’ to any individual hill that is listed. Since publication of Y Pedwarau by Europeaklist in May 2013 the Cardinal Hills for Wales have been fully re-evaluated and updated accordingly. Summit Grid Reference: This is the ten figure grid reference (10FGR) for the summit of the hill. This has either been produced by an accurate survey, a map spot height or when neither is available by a centralised position in an uppermost contour ring. When the accurate survey has been conducted independent of the Ordnance Survey a (S) for ‘survey’ will appear adjacent to the 10FGR, a (L) if the 10FGR has been obtained from analysis of ‘LIDAR’ data, a (TP) if the 10FGR is taken to a ‘trig pillar’, a (B) if the 10FGR is taken to a ‘bolt’ or a ‘block’, a (LV) if the 10FGR is taken to the position of a ‘levelled’ height on old maps, a (HH) if the 10FGR is taken from a ‘hand-held’ GPS unit, a (SH) if the 10FGR is taken to a ‘spot height’ either on current or old maps and an (I) if the summit position has been ‘interpolated’ from contours. Drop (m): This column details the prominence of the hill; this is commonly referred to as ‘drop’ or ‘reascent’. The drop is the height difference between the summit and connecting bwlch to the higher parent peak along the watershed. The letter ‘c’ before the drop figure signifies there is no spot height or surveyed height known for either summit or more usually, the bwlch, therefore a part of the drop figure has been estimated from contour interpolation. Where an * appears against the drop value of the hill it means that this figure has been ascertained from the conversion of the summit and bwlch height to OSGM15. Notes: This column gives details relating to the hill. Thanks are given to the people who submit 10 figure grid references to the Database of British and Irish Hills (DoBIH) and for DoBIH making these available for public use.